Although 5 whole years have passed over this renovation ,every moment of it stays in my memory quite vividly as it was a very special Project in many ways. First of all, it was a great beginning of a client architect relationship that has come to last till now with a total of 13 projects so far. Another reason that made this renovation particularly special was the history of the building which dates back to the early 1900s. With a past of over 100 years, the BRAUNSTEİN apartment had its share of aging. 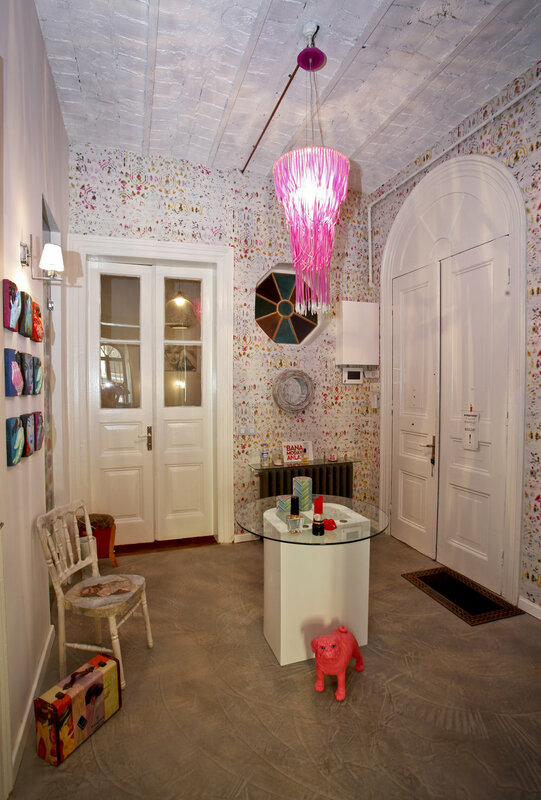 The challange was to design the first office of a very young and famous blogger in such an old space. Although the client was the mere reflection of youth and energy, she believed in the aura of the past.That is why, the main idea was to balance the old and new by mixing significant old structural details with new and easy to use materials.The process began by tearing apart useless layers to bring about the main historic elements. The cratfsmanship of the brick walls and vaulted ceilings was striking. Goal was to design an eye catching entry with a dynamic character. 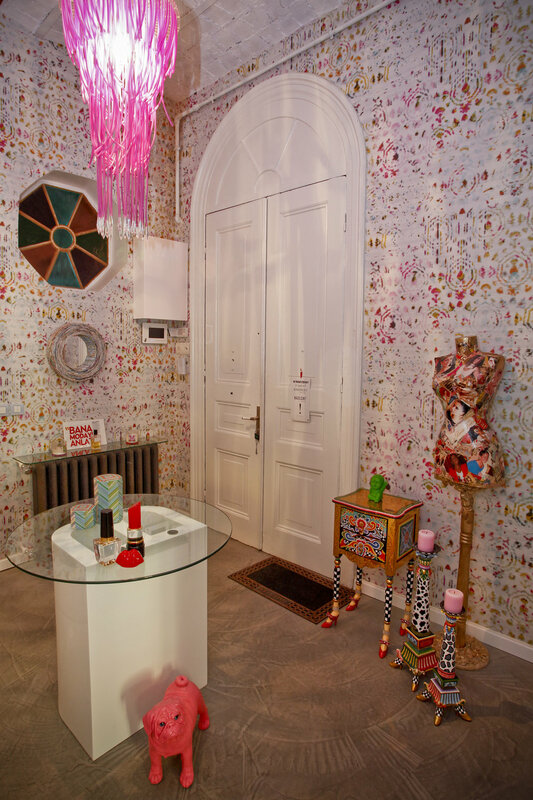 The colors and materials were selected together with Buse Terim,the blogger herself. The focus was to have the energy in the center and have everything radiate from it with bits and surprises in small bundles. Peeling the old floorings which have been layered through the years required a great deal of time and energy.Once this challenge was complete,clear epoxy was hand poured on to the bare concrete floor. All the original doors and windows were kept and restored with minor handling and paint.Only the kitchen door was replaced with a glass door , dressed with custom designed macaroon stickers. The old hexagon window glass was all broken so we decided to have colorful pieces of glass made by a local glasswork studio specializing in antique pieces.Painting the vaulted ceilings all white after tearing down chips and old paint expressed the charming structure and resulted in a higher feeling space.